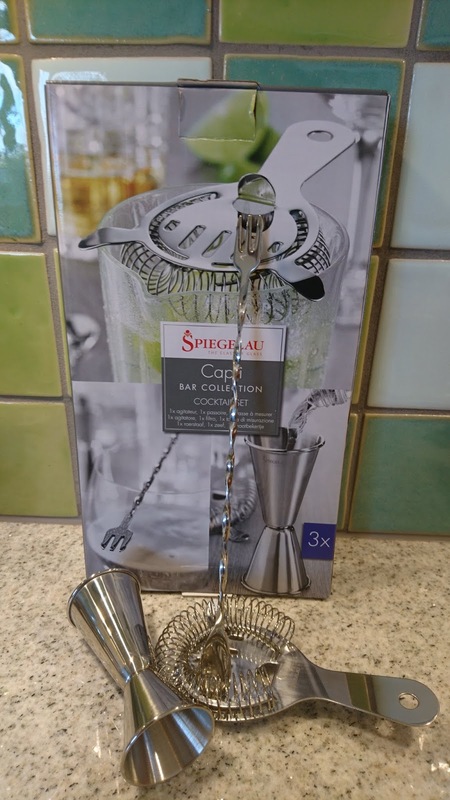 As a member of the Danish supermarket COOP´s locality program you can here in October 2018 - February 2019 collect "stamps", which can be used for discount on different glass type and cocktail mixing equipment from Spiegelau. Here I just been using some "discount stamps" to buy with cocktail set, which consist of measuring cup, strainer and stirrer. The price with "discount stamps" is 90 DKK (12 €) instead of 299 DKK (38 €). So I assume I should making some fancy cocktails in my little kitchen, perhaps include various cocktail ideas for the Christmas Calendar 2018 ?? Any thoughts/idea for cocktails to try out ?